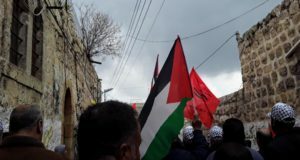 The small Palestinian village of Bilin will face-off this month against two Canadian corporations accused of aiding and abetting the colonization of the Occupied Palestinian Territories. Bilin has charged Green Park International and Green Mount International with illegally constructing residential buildings and other settlement infrastructure on village territory, and marketing such structures to the civilian population of the State of Israel. The condominiums in question are located in a settlement neighborhood known as Matityahu East. Still in its preliminary phase, the lawsuit sheds light on the shady pairing of corporate interest with Israeli expansionist ambition. 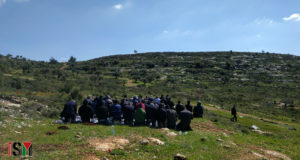 Representing the village of Bilin, the Bilin Village Council headed by Ahmed Issa Abdallah Yassin seeks to hold the companies accountable for violations of international law. The lawsuit, filed by Canadian attorney Mark Arnold in 2008, accuses Israel of “severing” village land from Palestinian control, and transferring territorial control to Israeli planning councils. The rights to develop the territory were then sold to the Green Park companies. Arnold is optimistic. “Certainly the Canadian law and the Quebec law appears to be on the side of Bilin, and against the side of the defendants,” he said. The Fourth Geneva Convention of 1949 prohibits an occupying power from relocating part of its civilian population to the territory it has occupied. A violation of this principle is deemed a crime of war under the Rome Statute of the International Criminal Court. Insofar as Green Park International and Green Mount International constructed the buildings meant to house Israelis within the occupied West Bank, the corporations are considered complicit in the commission of this war crime. According to Emily Schaeffer, an Israeli attorney representing the Village of Bilin, both the articles of the Fourth Geneva Convention and the Rome Statute have been incorporated into Canadian federal law under the Canadian Crimes Against Humanity and War Crimes Statute. 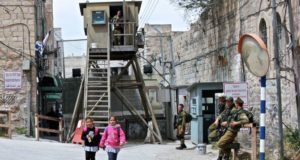 The Bilin case is one of a growing number of civil and criminal motions filed abroad that attempt to hold Israel and its corporate agents responsible for breaches of international humanitarian law in the Occupied Palestinian Territories. However, according to Schaeffer, this increased tendency reveals the failure of the Israeli court system to protect Palestinian rights. The question of the legality of the settlements has been brought to the Israeli high court on multiple occasions. However, the courts have repeatedly refused to rule on this issue. Instead, the courts deem this concern political in nature and thus outside the jurisdiction of the justice system. Green Park International and Green Mount International have motioned to dismiss the suit. They claim that Canada is not the appropriate forum in which to try the case. Instead, the defendants contend that the suit should be heard in Israel as it is the country where the activity in question has taken place. In the run-up to the preliminary hearings, Mohammed Khatib of the Bilin Popular Committee Against the Wall, and Schaeffer will tour 11 Canadian cities. The speaking tour is part of a civil society campaign to mobilize support for the embattled village. A spokesperson for the Coalition for the Bilin Tour, who wishes to remain anonymous, emphasized the need to hold corporations accountable for affronts to human rights. “As members of the community, it is our duty to curb the power of large multinational corporations. We need to tell them, ‘There are limits to your quest to seek profits,'” she said in French. Schaeffer highlighted the importance for concerned individuals to show solidarity with Bilin. Speaking of the highly controversial nature of the lawsuit in question, she said, “The judge in this case needs to feel that it’s okay to rule in favor of the village — that there’s not going to be a major backlash. And that judge also needs to feel supported in making a decision that might very well influence Canadian foreign policy with Israel. Bilin is seeking a permanent injunction against the Canadian corporations. In addition, if successful, the Green Park companies will be ordered to destroy the buildings they have already constructed and pay two million dollars each in punitive damages to the village. However, it is doubtful that such orders will ever be implemented by Israeli authorities. In order for the ruling to be enforced, the defendants will have to petition the Israeli high court to accept the Canadian decision. Bilin is located four kilometers east of the green line (the 1949 armistice line that marks the boundary between Israel and the Palestinian territories occupied in 1967) and is adjacent to Modiin Illit, a large settlement bloc that sits on territory confiscated from Bilin and the neighboring Palestinian villages of Nilin, Kharbata, Deir Qadis and Saffa. Since 2005, the residents of this agricultural community have been leading a nonviolent struggle against the construction of Israel’s wall in the West Bank on village land. Ostensibly built to protect the existing residents of the settlement bloc, the route of the wall was drawn to incorporate the future construction of Matityahu East located just east of Modiin Illit. The wall appropriates an additional 450 acres, which accounts for 60 percent of Bilin’s land. In 2007, the Israeli high court deemed the route of the wall in Bilin illegal, and ordered the Israeli military to move it closer to the edge of the settlement boundary. To date, the military has yet to implement the high court’s decision. Deborah Guterman is a member of Young Jews for Social Justice, a collective of Montreal Jews who take action on racism, injustice in the Middle East and inequality in their communities.